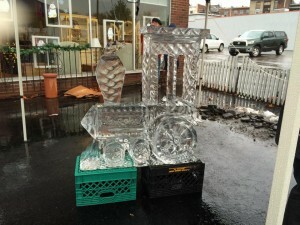 Patrons of Tunkhannock’s “Christmas in Our Hometown” who held out till the last day were greeted with bountiful sunshine on Sunday, while those who were downtown on Friday and Saturday dealt with abundant sogginess. 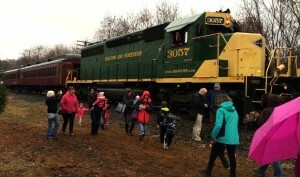 Hundreds lined up for one of three sold-out excursions on the Santa Claus Train today, and Tunkhannock High School was the place to be in the afternoon for the final matinee of “Santa’s Toast of the Town,” a variety show sponsored by the Tunkhannock Public Library. 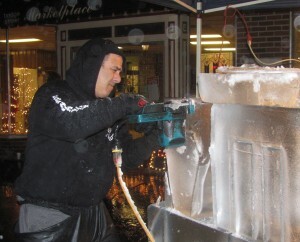 Less that perfect weather – rain, sleet, wet snow or bitter cold – is nothing new to the annual ringing in of the holiday season in Tunkhannock. Nor does it keep people away from the event, which is coordinated by the Tunkhannock Business and Professionals Association (TPBA). In fact, the chilly rain, which began as a drizzle on Friday night and ended as wet snow flakes on Saturday evening, succeeded in pushing people inside, which is what shop and restaurant owners most want to see. 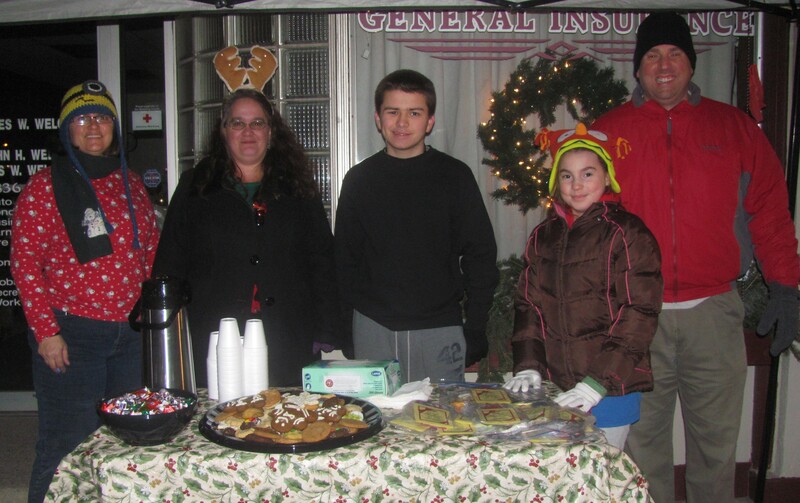 Members of churches and other nonprofit stood strong against the elements and dolled out beverages, snacks and Christmas cheer to grateful families, who stood in the rain to greet Santa and Mrs. Claus who, along with Tunkhannock Mayor Norman Ball and his wife, Peg, counted down to the lighting of the town Christmas tree in the yard of the Peoples Security Bank on Tioga Street. 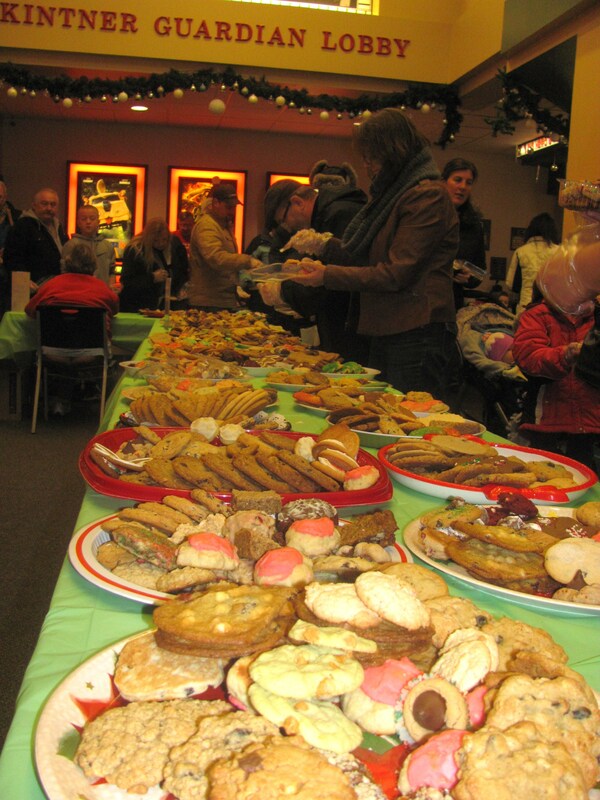 The Kintner Guardian Lobby of the Dietrich Theater filled quickly after the tree lighting ceremony with people not only seeking refuge from the dampness but a staple holiday “comfort food.” The line was long for the annual Homemade Cookie Walk, proceeds from which benefit children’s programming at the theater, as supporters filled containers from a bevy of donated cookies. 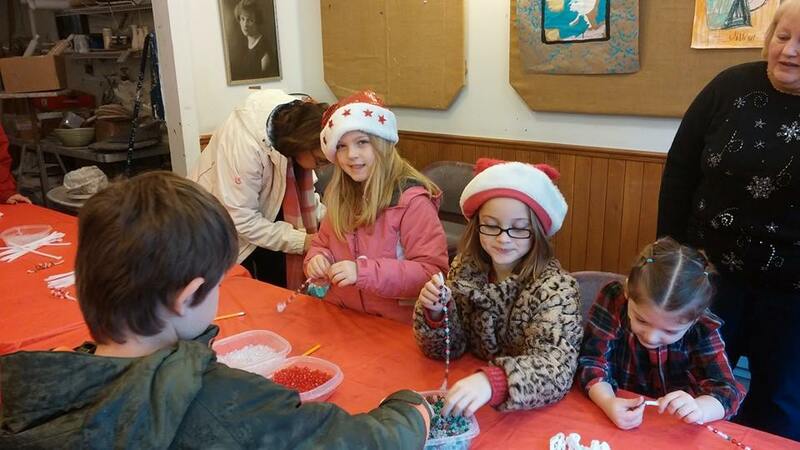 Children returned to the theater on Saturday morning to decorate cookies and create ornaments. 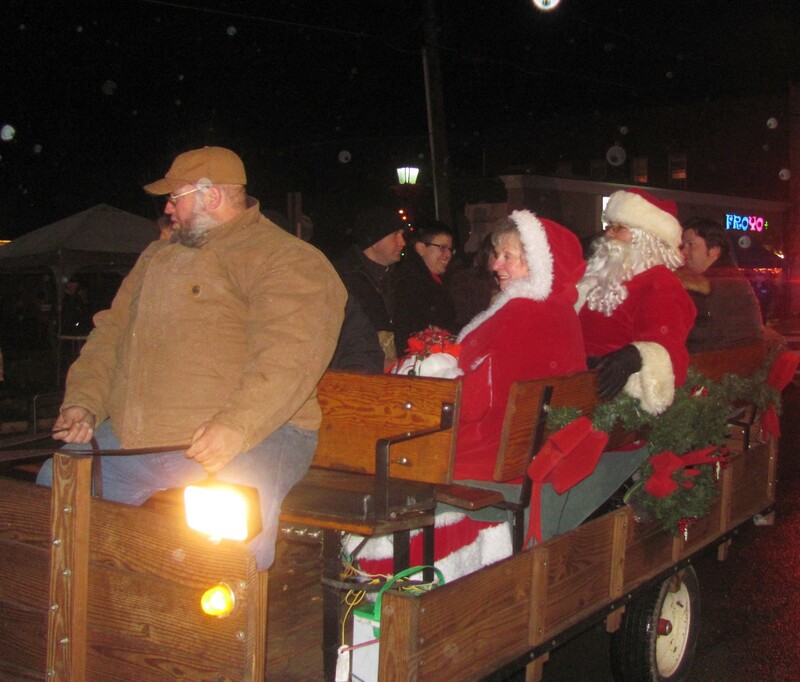 Up and down Tioga Street and along Bridge and Warren Streets, ‘Hometown’ guests ducked in and out of shops and filled eateries and pubs. The reflections of beautiful decorations in store windows shimmered in the wet, nearly vacant streets. 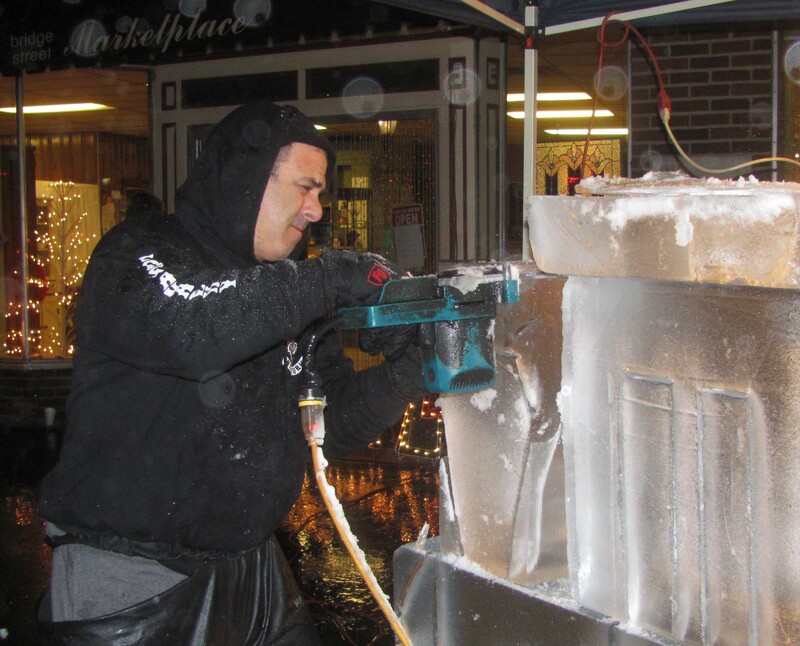 An ice carver under a tent in front of Bridge Street Antiques drew a crowd of hardy spectators, as did dancers from Whipple’s Performing Arts Studio who performed both Friday and Saturday evenings in the window of Greenwood’s Furniture. 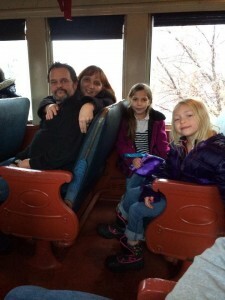 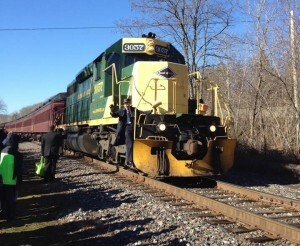 Passengers on the Lehigh Gorge Scenic Railway trains that took families from Tunkhannock to Falls and back were gushing afterward on social media outlets. Saturday’s rain did not appear to have damped their spirits, and Sunday’s sunshine was greatly appreciated. 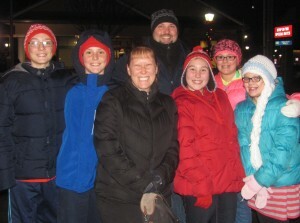 When the Wyoming County Kiwanis fair queen and some members of her court were asked, “What is the best part of ‘Christmas in Our Hometown?’” Fair Queen Hannah Ross, answered, “Can you choose just one?” Junior Fair Queen Alyssa Sickler added that she enjoys the overall “spirit” of the event. 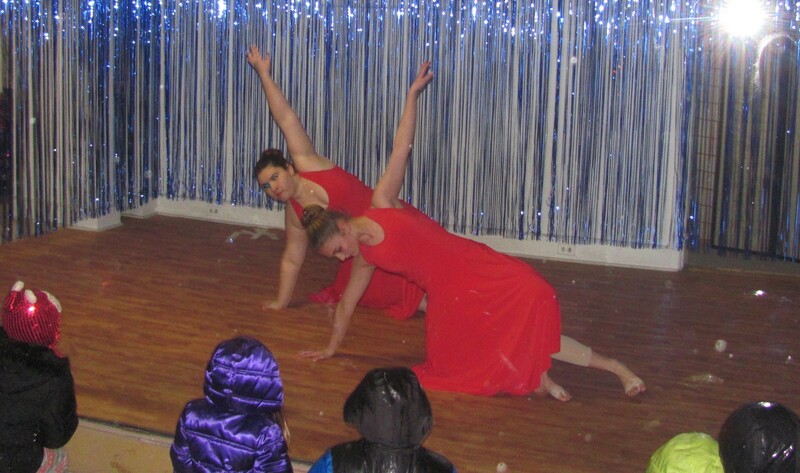 Junior Second Alternate Queen Madison Sickler said that she likes the way that the event brings the community together. 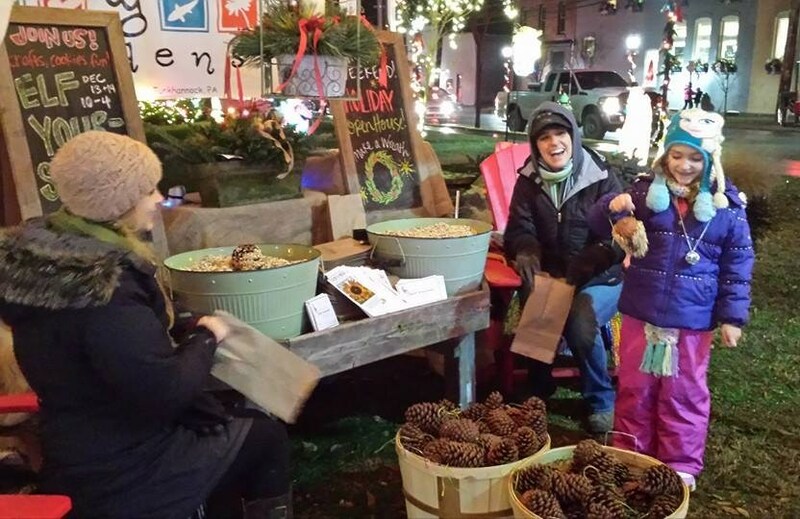 Rebecca Berry likes “the dancing in the window,” Members of the Trunk family cited the decorations, hot chocolate, and live nativity as some of the things they enjoy most. 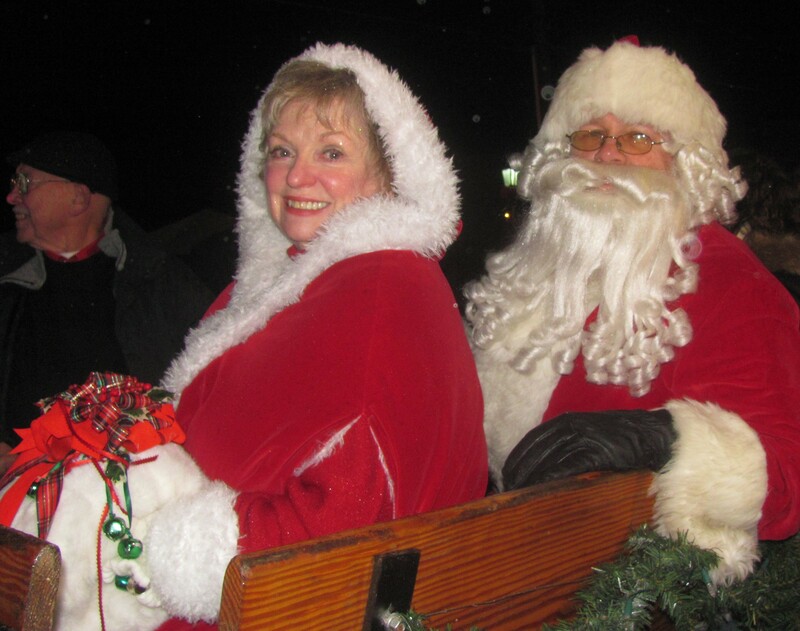 This year, the popular live nativities were not presented due to the inclement weather, but each ‘Christmas in Our Hometown’ is destined to make its own memories. 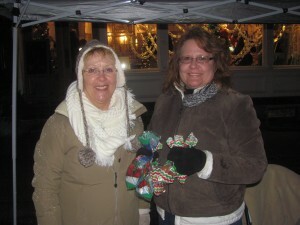 The event still managed to provide Christmas cheer for those who needed a little motivation and also likely served as the catalyst for a robust shopping season in downtown Tunkhannock. 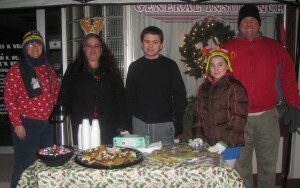 Eaton Baptist Church members (from left) Kim Teeters, Yvette Hutchins, David V, Eliana Bricker, Kurt Bricker warmed hearts and bellies with heated citrus punch and cookies. Anxiously awaiting the arrival of Santa on Friday night are (from left) Liam Trunk, Landen Trunk, Stacey Trunk, Jesse Trunk, and Lilly Trunk of Factoryville and Ariona Richards and Lily Richards of Springville. 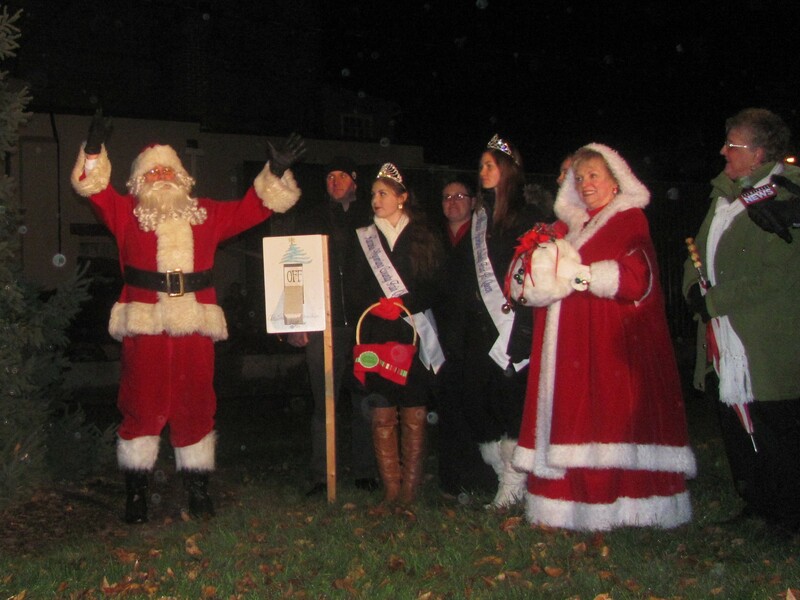 Kiwanis Wyoming County Fair royalty who passed out candy canes and helped to welcome Santa Claus to Tunkhannock on Friday included (from left) Madison Sickler, Alyssa Sickler, and Hannah Ross. Santa and Mrs. Claus arrive via horse and wagon to light Tunkhannock’s Christmas tree. 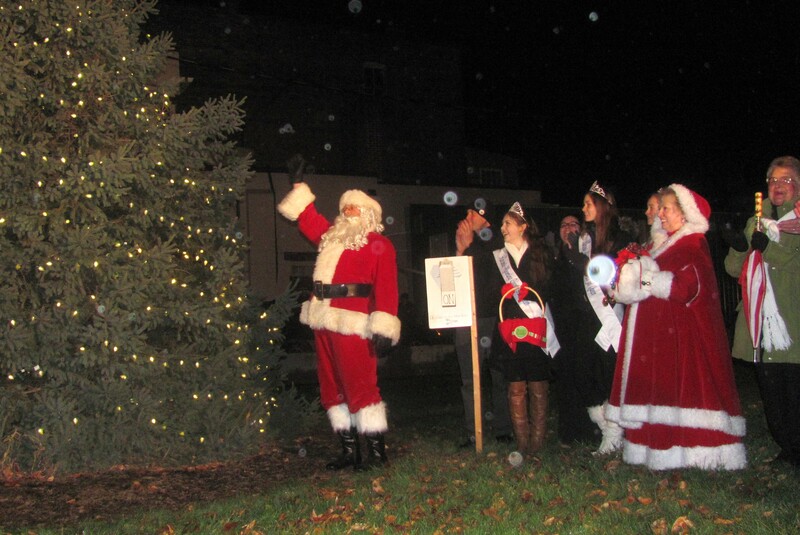 Santa welcomes the crowd to the festivities on Friday night. 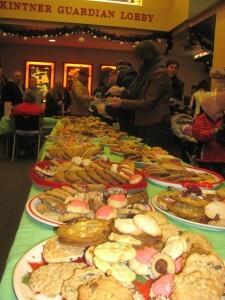 ‘Hometown’ patrons with a sweet tooth flocked to the Dietrich Theater for the annual Homemade Cookie Walk. 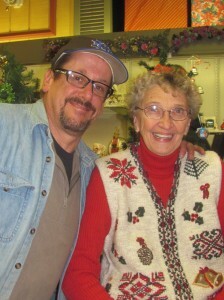 The Beagle Eatery was one of many restaurants filled to capacity in Tunkhannock on Friday night. 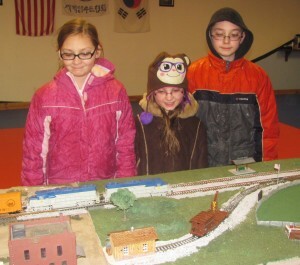 Enjoying a train display set up at Robinson’s Marshall Arts by the Endless Mountains Model Railroading club were (from left) Rebecca, Nadiya, and David Berry of Tunkhannock. As the rain picked up on Friday night, P&G Credit Union associates Lorraine Roseberry (left) and Cheryl Pasternak quickly gave away the rest of their cookies and wrapped up for the evening. Rain couldn’t stop the dancers from Whipple’s Performing Arts Studio from performing. Nor could it prevent children from being mesmerized by their talents. Former Tunkhannock resident Bob Rau (left) stopped into Eclectic Hearts Antiques to check in with Wyoming County Commissioner Judy Mead. 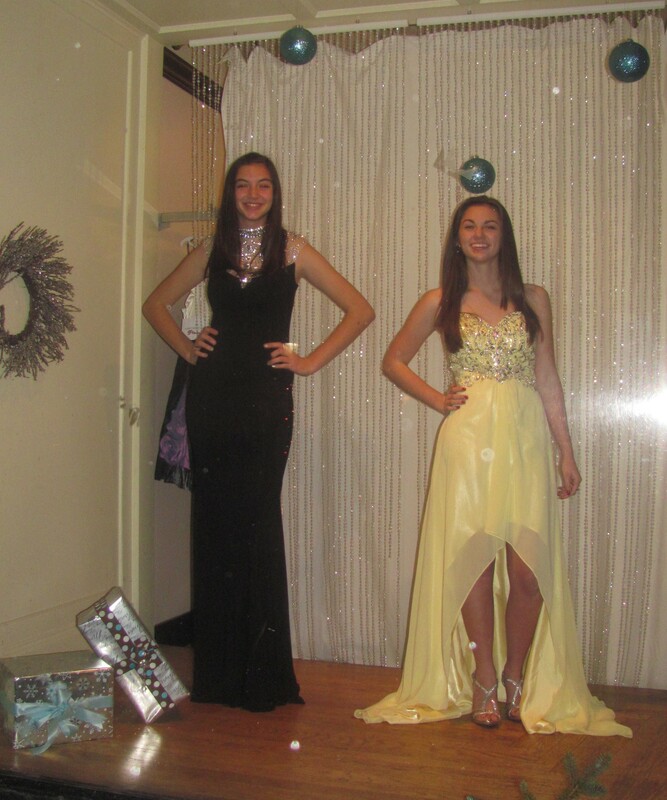 Living manikins in the window of Something Blue Bridal Boutique included Devyn Saylor (laft) and Theresa MacNamara. 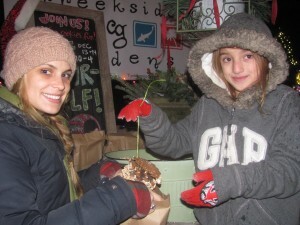 Julie Novak (left) of Creekside Gardens helps Harley Gaudet of Wayland, NY, bag her ornament made for the birds in her yard. 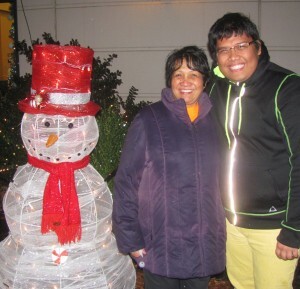 Fely Wildersbin and Federico Guevara of Factoryville (formerly of the Philipines) were found making friends with a snowman in front of the Dietrich Theater. 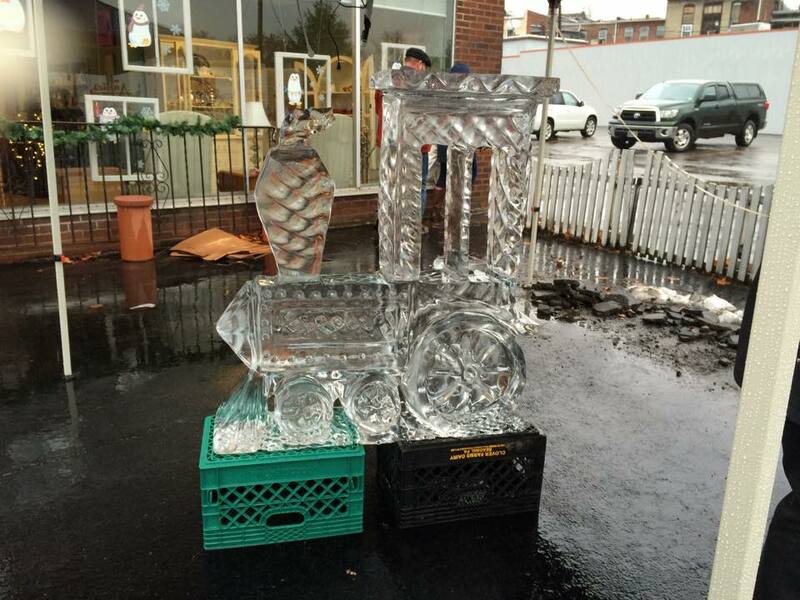 Ice Carver TJ Neary was protected from the rain but had to work fast to create a locomotive engine in above freezing temperatures on Friday night. 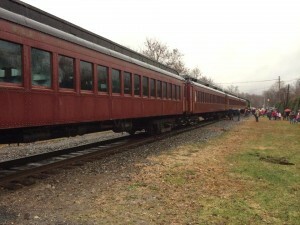 Passenger trains in Tunkhannock are a rare site, but photographer Ashley Vosburg snapped a shot on Saturday that seems timeless. 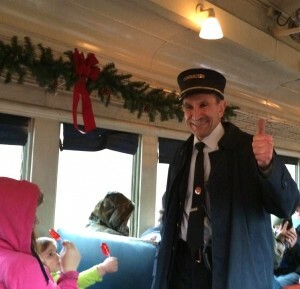 See more photos at http://www.endlessmtnlifestyles.com/?p=2890.